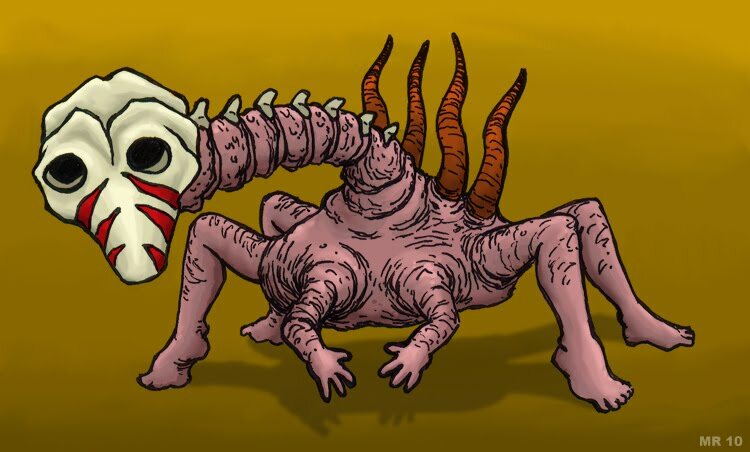 Another species of demon created by the insane machinations of demonic alchemy. 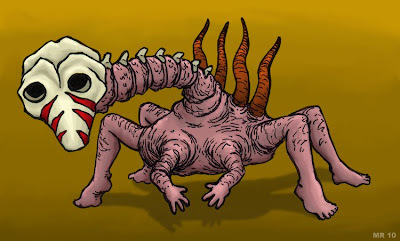 Skuttle Masks can be created with infinite configurations of arms, legs, spines, or other body parts. They are usually employed by larger demon lords as pages, footmen, or messengers. Ranambulatis - the "Frog Walker"